As mentioned in an excellent Ars Technica article, they do treat (but not cure) one of the most common types of color-blindness (moderate red-green color blindness), but not all types of color-blindness. The type of people that these glasses help with are people whose red and green cones overlap more than they do for the typical human. These glasses "block the thin cluster of wavelengths detected by the excessively overlapping portion of … red- and green-sensitive cones" allowing the eyes to better distinguish colors. In a typical red-green color-blind individual, they still have all 3 types of cones, but the red and green cones overlap too much, making it difficult to distinguish between red and green. These glasses block the region of the spectrum where red and green overlap, making it easier to distinguish red from green. A whoping[sic] 90% of EnChroma users say they would recommend the glasses to others with color blindness. This does not come as much of a surprised because 55% reported EnChroma lenses changed their life and another 36% reported they “somewhat” changed their lives. 10% reported they did not. Furthermore, when asked if they increased their quality of life, 64% said “yes”, 31% “somewhat”, and only 5% “no”. 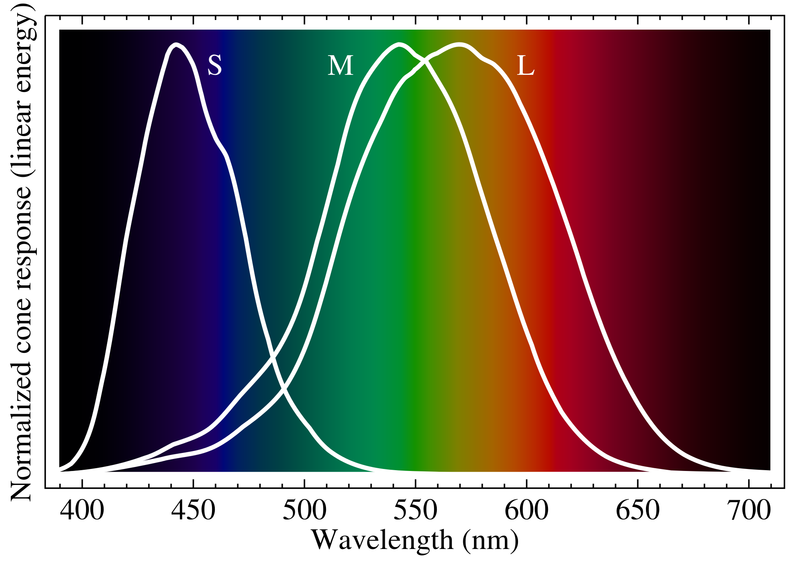 Color-blindness is often a result of a malfunctioning cone that causes wavelengths to overlap even more, resulting in poor color discrimination. Not the answer you're looking for? Browse other questions tagged medical-science biology . Has any cure come from embryonic stem cells? Does Asclepias gigantea cause blindness?